Sally Dudmesh Bespoke, is a range of unique work. Each piece is a one-off, with a story, an eclectic mix of inspirations and visual language inspired by Sally’s travels to remote places and the cultures she has encountered and fallen in love with along the way. Antique South Indian prayer amulet Necklace (c1950), with 18ct gold beads on a silk thread and silver, gold-plated clasp. Silver and Gold Gujarati Necklace. 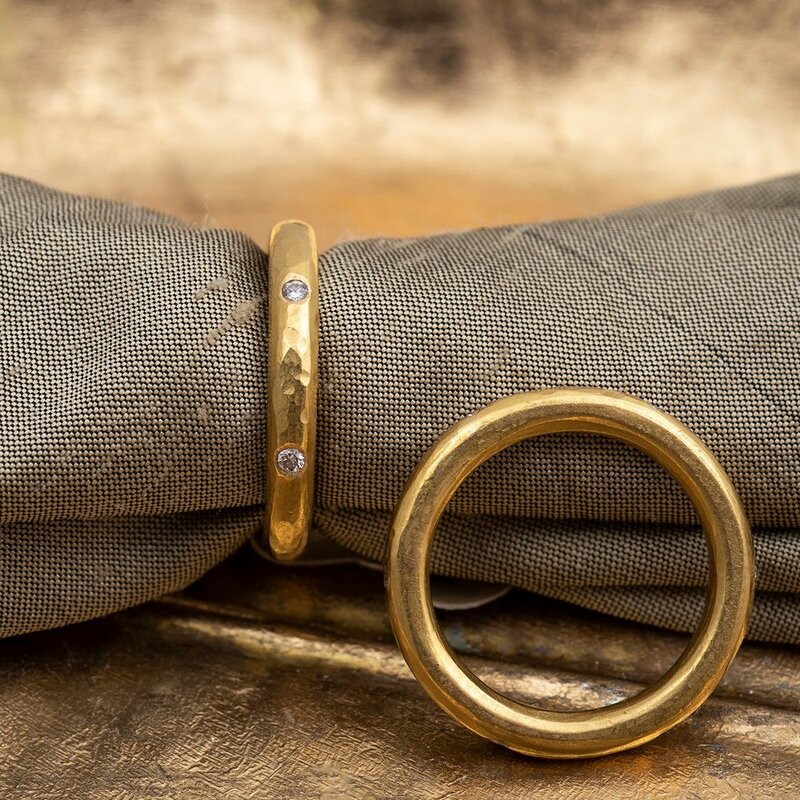 Inspired by the wonderful shape of an ancient Gujarati nose ring.This is silver embellished with little gold balls. Assorted tourmaline pendants, various sizes with 18ct gold beads & bezel. All one-offs, yet very affordable get in touch to see what's available. Golden Eternity Ring. A beautifully crafted symbol of everlasting love inset with diamonds. A perfect wedding ring. Also available with Sapphires or Rubies. Available to order - email for details. 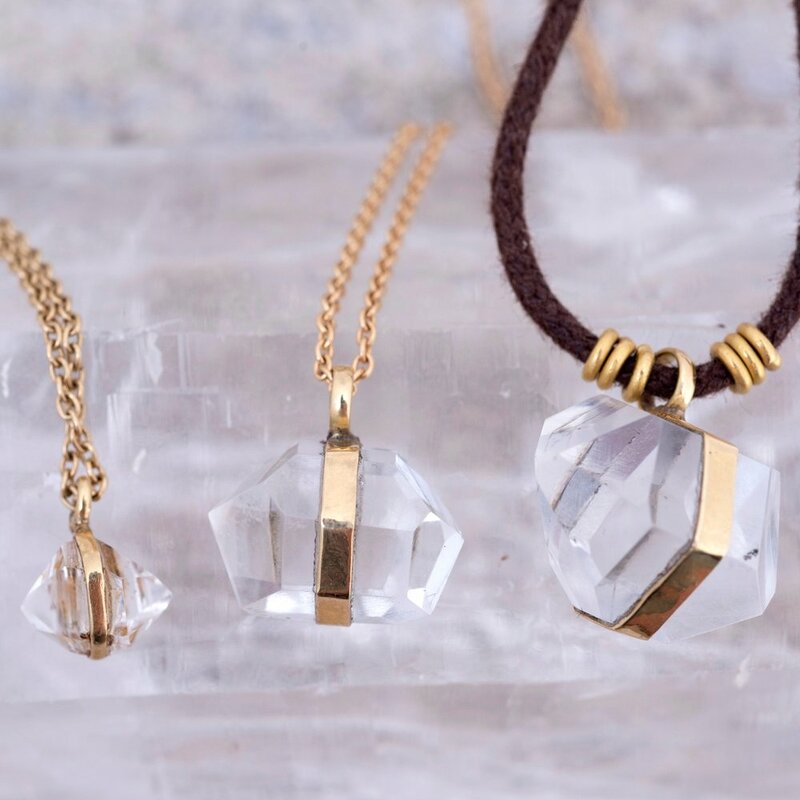 Terminated Crystal Pendant Necklace, in different shapes and sizes. Available in silver and gold. Email us for price-list and to view images of our current stock. Banded Agate Eye Bead Necklace. These special protective beads come in many sizes, please get in touch for current stock and prices. 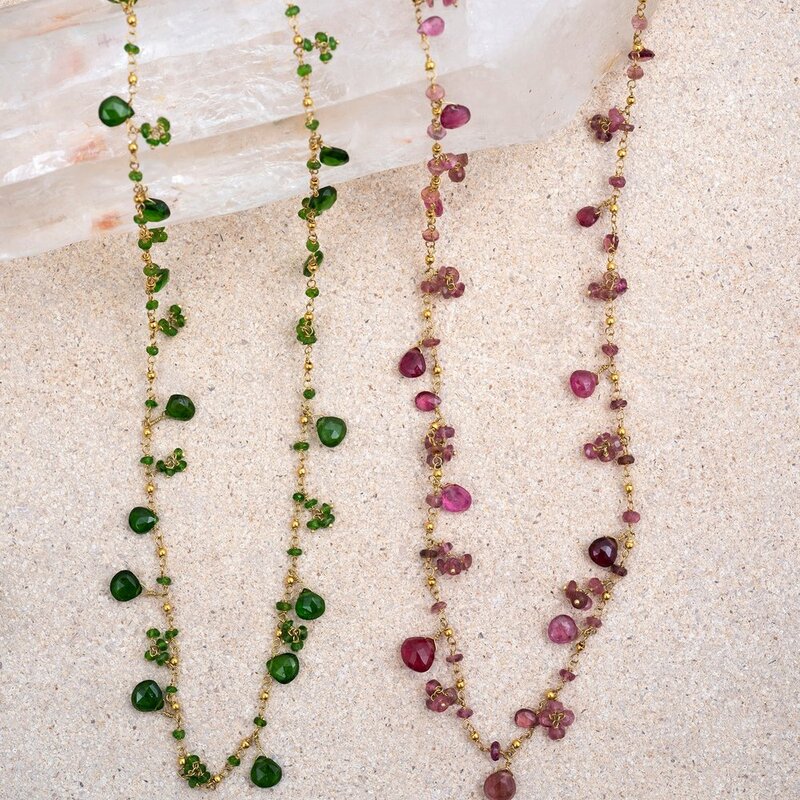 Tanzanian tourmaline Necklace. Sumptuous watermelon coloured multi-faceted drops, with 18ct wax filled gold beads. Bespoke Amulets Necklace. Black tourmaline, the protective hand of Fatima, a crescent moon for new beginnings, and sun pendants. Multi-Coloured Tourmaline Necklace. Beautiful tourmaline drops suspended from a gold chain. 46cm long, each one unique - please email us for more photos and costs. 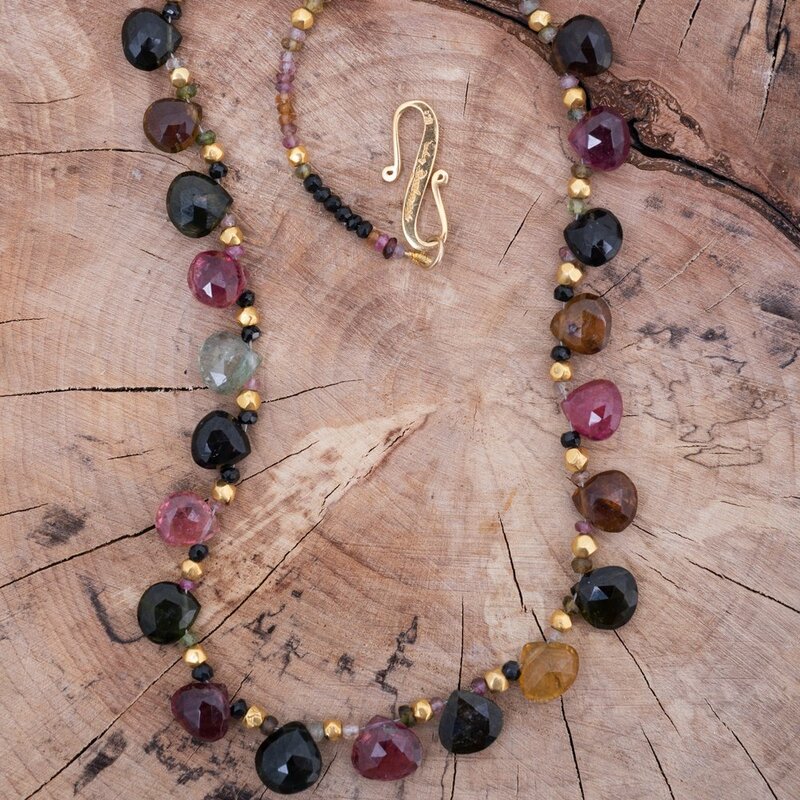 Tourmaline Gold Necklace. Fabulously individual, every one is unique. Available with either red or green tourmaline stones. New Beginnings Necklace. Faceted silver necklace, with crescent moons for new beginnings, with Antique Sudanese red glass bead. Yemeni Fertility Filigree Necklace. Yemeni filigree pendants in 22ct gold. 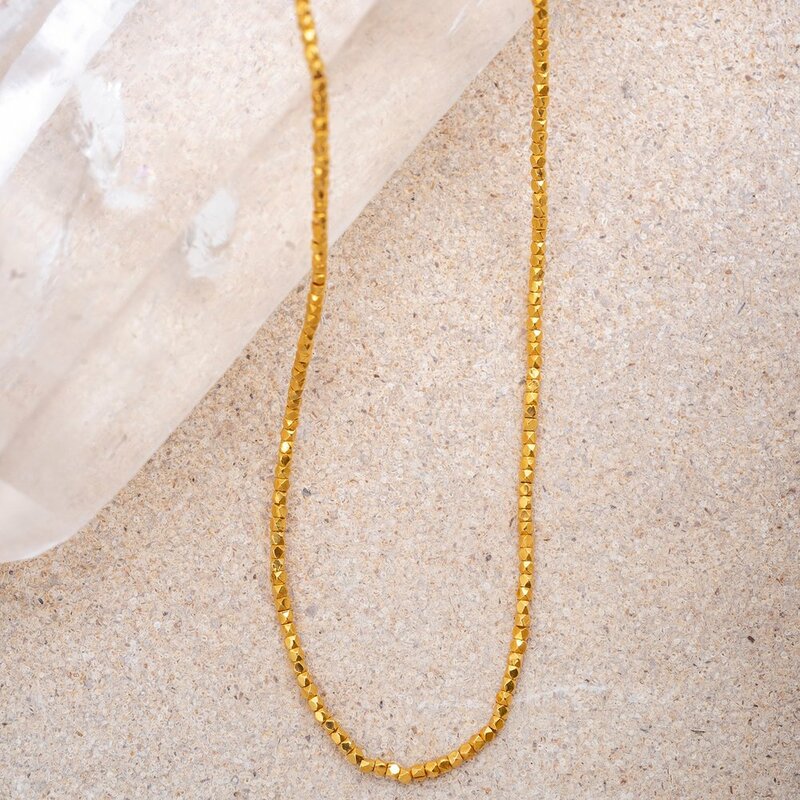 Gold Faceted Beads Necklace. A stunningly individual, 45cm necklace in 18ct gold. For up to date prices and courier costs world-wide, please contact Sally personally via email at thesilkroad@sallydudmesh.com.